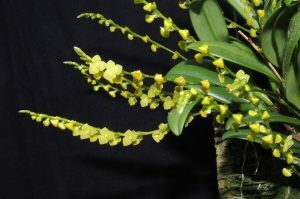 We are delighted to have several stelis species coming into flower just in time for the British Orchid Show. These plants have small flowers but many species have a really big impact due to the number of flowers even small plants produce. 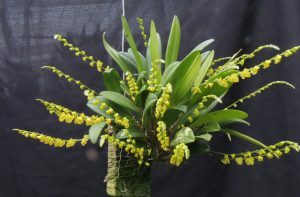 This relatively large flowered stelis species is found in cool mossy forests in Ecuador, Colombia and Peru as an epiphyte or lithophyte from 1200 to 3000m altitude. This is the fifteenth stelis species we have included in 365 days reflecting both the diversity of the genus (there are around 500 stelis species) and the large number of species we grow at Writhlington. We first met the genus in the cloud forests around Macae de Cima in Brazil and ever since we have been to show what rewarding and interesting plants these are.